How to Cook Asparagus - Easy 15min Stovetop Asparagus Recipe! How to cook asparagus with butter and garlic on the stove top in less than 15 minutes! This easy asparagus recipe makes tender, crisp asparagus that goes well with everything. 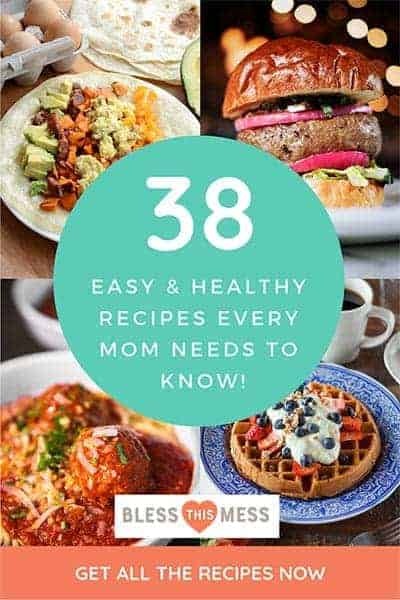 This is one of those recipes that’s not much of a recipe. It’s just a little butter or oil, some garlic, and salt and pepper all cooked with one of my favorite vegetables, asparagus. Asparagus doesn’t need a whole lot. It’s a great stand-alone vegetable that is delicious just how it is. I love to cook it on the stove top because it only takes a few minutes. It’s also easy to control how cooked through your asparagus is on the stove. 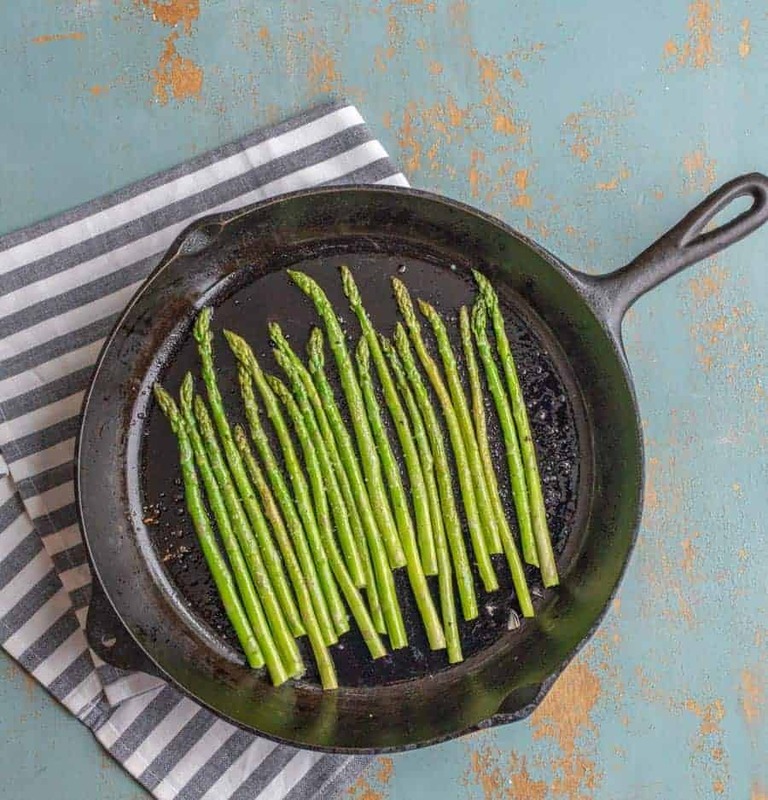 I like to eat my asparagus with a little crisp, so I know that as soon as they start to turn a beautiful bright green color, it’s time to take the pan off the heat. The asparagus will cook a bit longer in the pan as I set the table and by the time we are ready to eat, they are perfectly done. Such a simple vegetable, but one that I don’t tire of. Fun fact: we have wild asparagus that grows along our fence rows in our field and we look forward to it every spring. I can’t wait to have a big asparagus bed one day so that I can pick lots and lots when it’s in season! All of the asparagus stalks need to be touching the bottom of the pan. 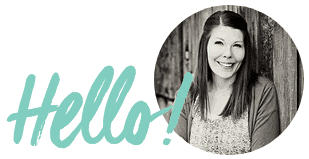 Don’t crowd them or have more than one layer. If your pan doesn’t allow this, cook them in batches as needed. A sprinkle of freshly grated Parmesan over the top of the cooked asparagus is excellent. Not a fan of garlic? Cut it down by half or omit it all together. It’s simple! 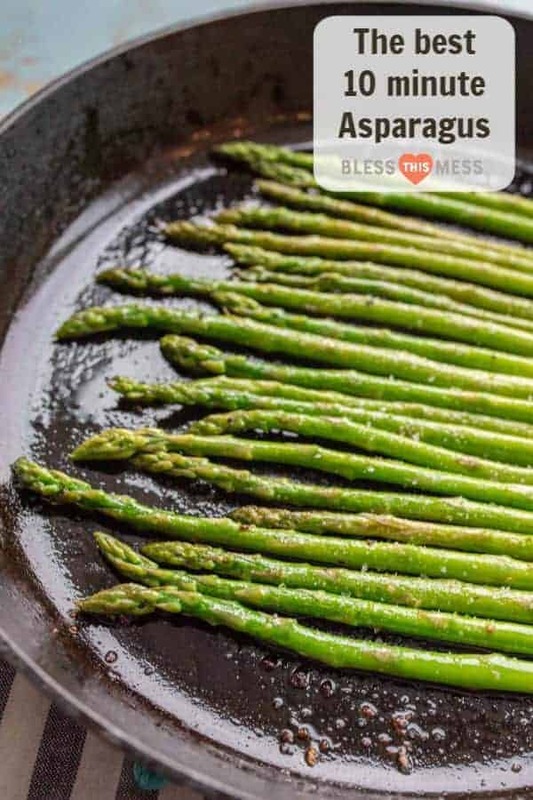 Just heat your oil in a large pan, add a little garlic and your prepared asparagus, and let it cook, stirring often until the asparagus is cooked tender-crisp, about 6 minutes. Just take the end of the asparagus in both hands and bend it until the end snaps off. That’s where the woody part ends and the tender asparagus begins. Line up the asparagus that you just snapped with the others and trim their ends to match with a knife. 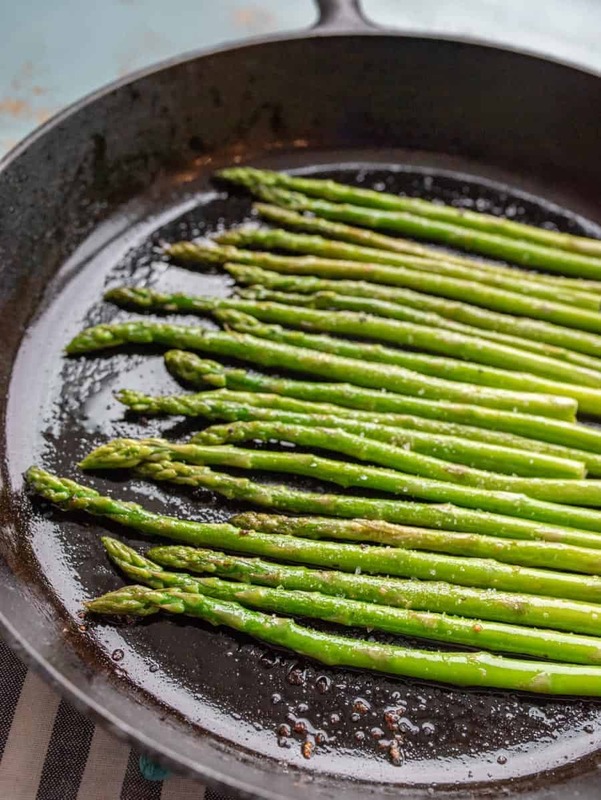 How to make sautéed asparagus with butter & garlic on the stove top in less than 15 min! 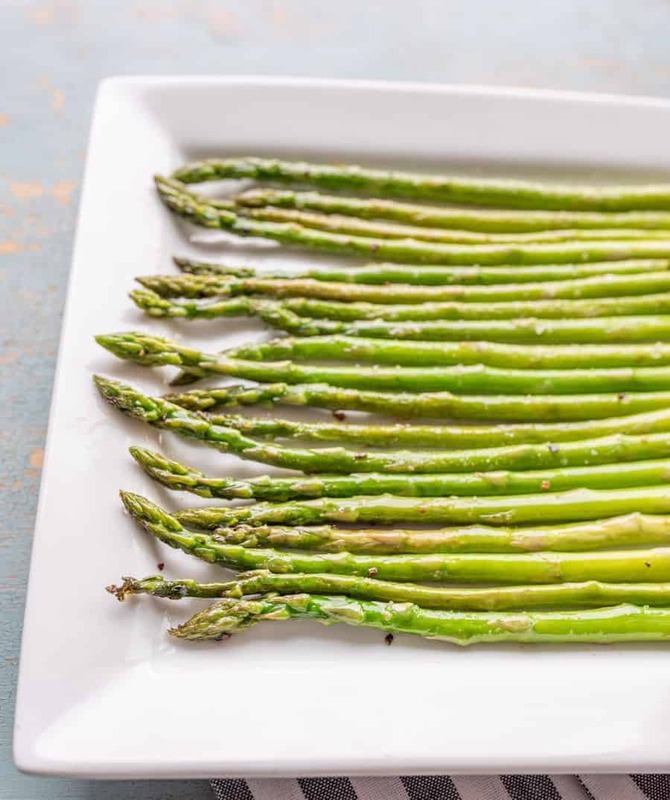 This easy sautéed asparagus recipe makes tender & crisp asparagus. Prepare the asparagus by washing them and trimming 1-2 inches off the bottom, depending on how tough the bottoms are. Heat butter or olive oil in a large skillet over medium heat. When butter is melted, add garlic and give it a quick stir to combine. Add the prepared asparagus. Cook, stirring occasionally, until tender (5-9 minutes depending on how big the spears are). Add salt and pepper to taste and serve right away. 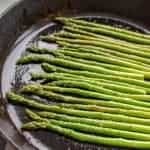 What do you serve with sautéed asparagus? I love to serve simple ingredients with simple ingredients. Asparagus is great with chicken (such as a baked chicken legs, Garlic and Herb Whole Chicken in the Crock Pot, or baked chicken breast) and a filling carb on the side (such as Twice-Baked Potatoes, Super Simple No-Knead Bread, or Simple Maple Roasted Butternut Squash). Such a simple recipe but one that I make time and time again. I hope you enjoy it!